The SGA Student Senate Convened in the Pharmacy building at 6:40 pm. Roll was taken, quorum was reached. There were no additions to the agenda. Motion for minutes to be approved was proposed Kelly Murphy for Off Campus and seconded by Stephanie Onyeiwu for Sororities. Motion passed and minutes were approved. There were presentations from the Independent Student Council and from the Student Initiatives Board. The Independent Student Council asks us to follow them on social media, advertise them to our constituents, as well as just spread the word. Natalie Ostoic, from SIB, asked for students who would be interested in going over the academic integrity policy as well as people just to join this committee to keep the students in check when it comes to academic integrity. Liv Jacobs JCA, Lowry Reuter Ross Hall, Joe Killion LSB, and Jared Kessler Fraternities all volunteered to help on this committee. With the Student Ideas and Concerns Forum, there were parking concerns brought up, but those students will be attending the next meeting. There were concerns made about lighting on campus and how there was safety concerns surrounding the lighting on campus. People are also worried about reporting crimes that are happening during the daylight, as well as people believe that BUPD needs to start patrolling during the week and not only on the weekend. Jessie recommended that we should have a visit with the BUPD chief of police. Becky announced that the Black Student Union was having a giveback at Metro Diner on October 8th. Stephanie Onyeiwu, the representative of the sororities, announced Alpha Chi Omega’s philanthropy event. Unknown senator announced Snu’s dodgeball event (I assume it was a frat senator). Neil Reinke, off campus, discussed his changes in Resolution 1718-04: A Resolution to Establish Proxies. He added that the proxy should just be in constituency of the senator rather than being in another leadership position. Also there is no longer a form to allow proxies rather just proper communication. Neil Reinke, off campus, motioned to end discussion of the bill. Kelly, sororities, second to closing. Motion failed. Annie, college of communication, motioned to end discussion. Malin, college of education, seconded. Nick Bentz, JCA, motioned to vote. Liv Jacobs, JCA, seconded. Motion passes. Resolution then pases. With the next two resolutions, there were votes on the new apartments senators as well as the new LSB senators. For resolution 1718-08: A Resolution to Appoint Apartment Senators, Motion to suspend discussion from Cole Mackey, COPHS, and seconded by Ali Thompson, COPHS. Motion to vote from Nick Bentz, JCA, seconded by Lowry Reuter Ross. Motion passes. Resolution passes. Resolution 1718-09: A Resolution to Appoint LSB Senators. Motion to vote from Stephanie Onyeiwu, sorority, seconded by Neil Reinke, off campus. Motion passes. Resolution passes. No committee reports. For an executive report, Jimmy is attending a board of trustees meeting, senator Murjanatu (CCOM) will be there. The senators wanted them to discuss the lifeline law at the meeting with the trustees.  Overall discussion was concerned about butler’s alcohol policy. Other concerns included the transparency of BUPD as a whole as well as the overall actions that BUPD has taken this year specifically, which just pushed to have BUPD come to a senate meeting. Senators would also like to discuss fixing Jordan Hall because there are a majority of leaks and a tarp has been there for 2 years as a temporary fix. Colton Junod then came in and presented about different SIB projects, including trying to bring back newspaper access to campus as well as different administrative meals and connections. Also discussed the Game of Life. Becky Rhodes, Parliamentarian, presented the staff reports. There are edited Resolution tabs and no meeting on October 11th. Senator Cole Mackey, COPHS, motioned to close meeting. Seconded by Senator Joe Killion, LAS. Motion passed.